This episode is about the power of the media. In the 2012 elections, the intervention of the media resulted in almost daily scandals. The trend continues with the 2022 elections. As Malcolm X once stated, “The media is the most powerful entity on earth. They have the power to make the innocent guilty and to make the guilty innocent.”A woman visits her son in jail. Her son faces extradition to the United States on murder charges, where he could possibly be given a death sentence. The current Chief Executive has refused to meet with her to discuss the case, but she reassures her son that there will be someone that can help. Song Man San (Liu Kai Chi) is angry that Luk Wai To (Savio Tsang) did not consult with him first before exposing Yip Ching’s secret deal on the radio. He says the move could potentially backfire on them. But in the end, Song says he will handle the matter. Song pays a visit to the leader of the Labor Association for Hong Kong (Mannor Chan). He persuades them to organize protests against Yip Ching for her “betrayal” of the workers. In exchange, he promises to help them pass a bill to increase the minimum wage. The Labor Association refers to the Hong Kong Federation of Trade Unions (HKFTU), which is the largest labor group in Hong Kong and is also pro-Beijing. 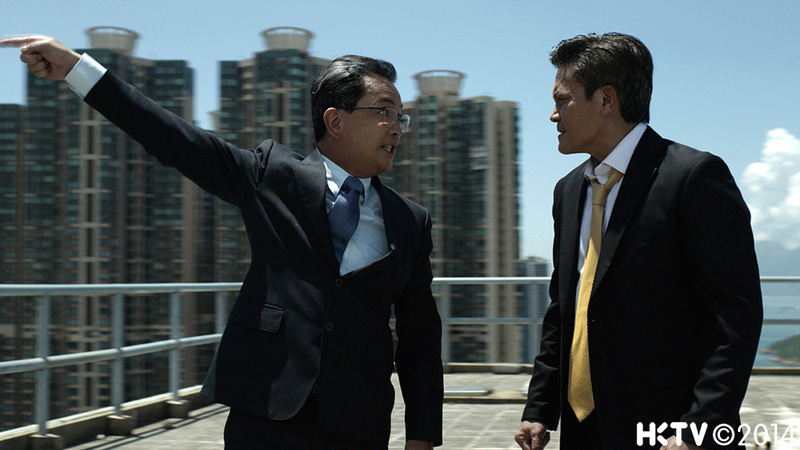 Mannor Chan’s character takes after Chan Yuen Han, the honorary president of the HKFTU. Meanwhile, Yip Ching (Angelica Lee) does not seem worried that her popularity ratings are dropping due to the scandal. Instead, she is gaining nomination ballots from the business sector, who had previously been wary of her background as a labour union activist, but are now supportive after she betrayed the workers. Yip Ching reasons that if she can become Chief Executive, then she will have power to do more for the workers. The next day, protesters are gathered outside of Yip Ching’s office. They demand that she apologize and drop out of the election. Her campaign team suggests that they should simply call the police to get rid of them, but she says that they should not stifle the protesters’ freedom of speech. At the law firm, C.K. So (Shek Sau) chats with Song’s wife, Lee Tsz Kwan (Mimi Kung). He asks for her opinion about who he should give his nomination ballot to. She indirectly hints that he should support Yip Ching. At home, she tells Song that she has influenced C.K. into giving his ballot to Yip Ching, just like he had asked her to do. Song meets with the reporter Gei Man Wai (Isabel Chan), who was the one that gave Yip Ching the fake interview of Wai Man Hin in episode 1. Song knows that she has a special relationship with Cheung Kwai Lung (Gregory Wong) and wants her to keep track of him. In exchange, he offers her exclusive news that the minimum wage bill will pass through the legislature next month. 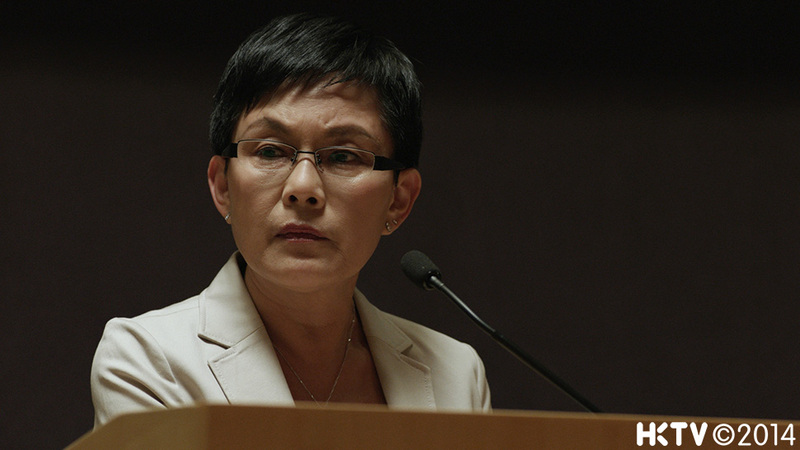 Sum Suet Lai (Violet Li), the head of the media conglomerate HKMG, goes to see Yip Ching. She says that HKMG can fully support her election campaign. The only condition is that once Yip Ching becomes Chief Executive, she must use her executive powers to stop the extradition of Sum’s son. However, Yip Ching rejects the offer. At the HKMG office, Sum instructs all the journalists to use “Yip Ching is innocent, the workers are unreasonable” as tomorrow’s headline. Gei gives Song advanced warning about the headline. He calls the Labour Association and tells them to end the protests. In addition, they are to tell reporters that they are open to consider giving their nomination ballots to Yip Ching. 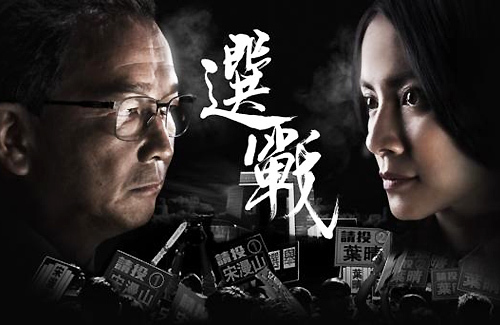 Song explains that by helping Yip Ching, he can bring down Luk.The next morning, Yip Ching and Cheung are surprised at the headlines that are supportive of her. Sum calls Yip Ching and says the headlines demonstrate the media’s power in dictating the truth. She asks her to reconsider the offer, but Yip Ching sticks to her previous decision. Song walks into Luk’s office and says that he must finally ask him to quit, otherwise their party would surely lose the election. He tells him that he will arrange for a doctor’s report to show that Luk’s health cannot handle the tough election campaign. He believes this will be an acceptable explanation to the public and to Mr. Wong. Luk walks out of the room dejectedly. That night, Luk calls a prostitute to his hotel room. He suddenly recognizes her as the woman who had supposedly blackmailed him with his bed photos, but she has no idea what he is talking about. Yip Ching meets with C.K. at the law firm. He gives her two items that Wai Man Hin had entrusted to him five years ago – a safety deposit box key and a signed power of attorney. When Yip Ching goes to open the safety deposit box, she finds wads of cash and a Bible. She is curious since her husband had not been religious. At the church, she finds out that her husband had once believed that his life was in danger. This episode recap is written by Miriamfanz, a Contributing Writer at JayneStars.com. Visit Miriamfanz’s blog! Thanks for your efforts! It really explain each episode where some things are hinted at subtly and I can miss some important info. So far, I have loved every minute of “The Election”. I hope HKTV gathers enough funds to do Season 2!